Buy a TY96 and claim a free headset. Available in 8.33 and 760 only channel versions, order your Trig radio via your nearest Approved Trig Dealer now. The user configurable database, allows over 200 frequencies and identifiers to be downloaded to the radio from a CSV file – using the USB stick (provided). 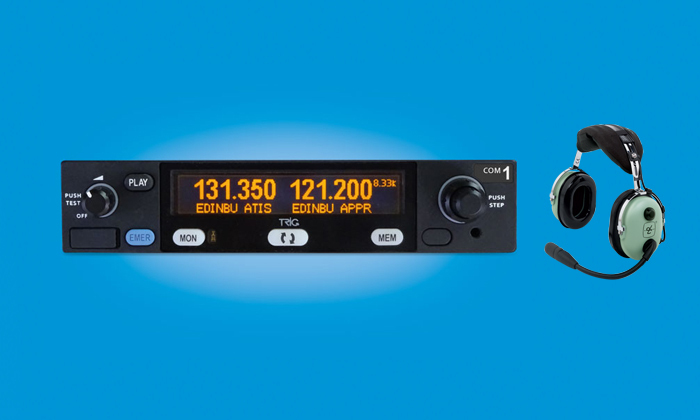 There are no subscription fees and this provides a highly flexible way to customise the radio for every flight by every pilot – perfect for fleet or club aircraft. Is the Trig stack radio a plug and play retro fit radio? The Trig stack radio is not a plug and play product. The radios offer features such as, stereo intercom and support for stereo music. To exploit these features some re-wiring is required. However, the radio is shorter, lighter and comes with a Trig tray to make replacement of an existing radio as practical as possible. The installation manual provides wiring information on legacy radios to help configure the installation. When you push the 'Push Step' button (right hand knob), you are swapping between 8.33kHz and 25kHz tuning steps . This does not affect the radio behaviour. It is purely to allow for faster tuning. So while your radio might display 25kHz in the top right of the screen, this does not mean you have lost 8.33kHz capability. It means that when you tune your radio, it moves in 25kHz steps. Each radio is shipped with a Trig USB stick. This contains full instructions for the product in the form of the User Manual and Installation Guide - TY96/96A /TY97/97A. How do I load my database from my USB onto my radio? Once you are happy with your database, save this to your memory stick. To load or save this to your radio, you need to put the memory stick into your radio’s USB port when the unit is turned off. Only when the radio is then powered on, it detects the USB stick and will offer to save or load your database. If there are data entries already on your radio you will be offered the choice to replace the whole database, or add entries from the USB stick. Similarly, if there is already a database on the USB stick you can either overwrite it or add the radio data to the existing file. To return to normal radio operation, remove the USB device and switch the radio off and then turn it back on again. In normal radio operation, the USB port is powered off. Can I link this radio to my GPS? To push frequencies to SBY? Can I play music through this radio? Yes – The Trig stack radio has a dedicated stereo music input. This has its own independent volume control and can be set to automatically mute on inbound transmissions. Can the TY96/97 interface with my existing audio panel/external intercom? Yes – The Trig stack radio has a dedicated mono audio output for interfacing with standalone audio panels/intercoms. 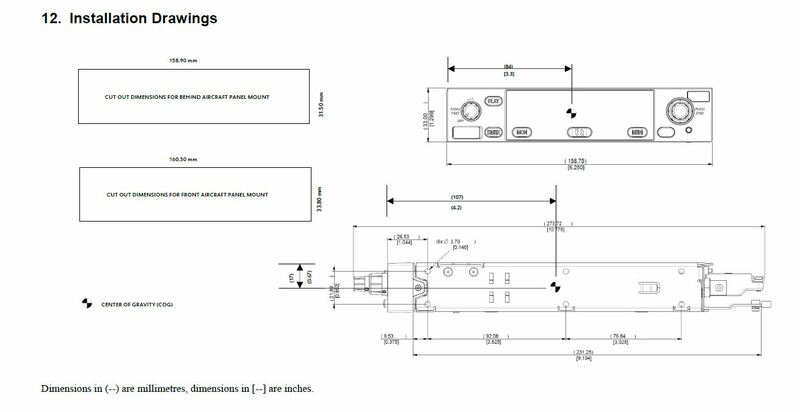 Full details of these connections can be found in our installation manual with examples for the most common units. Can I use CS-STAN to install a Trig radio? 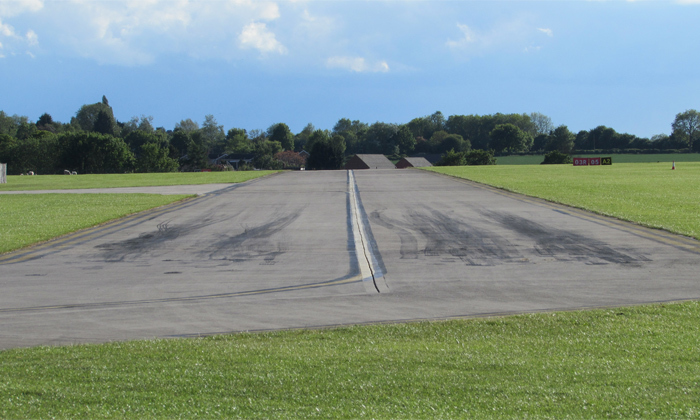 Trig has created a CS-STAN document to help with your TY96/TY97 installations in EASA aircraft. To find out more about how to use a CS-STAN document – click here.